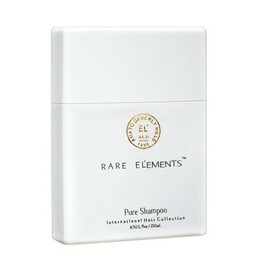 Organic meets luxury with this effective conditioner packed with rare ingrediënts. This rich treatment revives dull lifeless hair by naturally restoring radiant shine and fullness. Escape the ordinary and indulge in pure luxury! Essential Conditioner nurtures each strand of hair with exotic butters native to Nepal and Brazil, calming notes of essential oils and seven active botanicals. The benefits of raw elements bolster the recovery of moisture and resilience through deep nourishment that penetrates beyond the surface of your hair. This rich daily treatment revives dull lifeless hair by naturally restoring radiant shine and fullness without the use of synthetic silicones. Essential Conditioner preserves color as it protects and reinforces weak damaged hair, with the treasured secrets of Rare Elements from around the world.